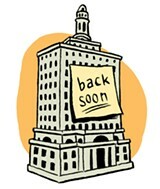 2010 was the Year of the Furlough as public agencies shut their doors to cope with the Great Recession. Before the foreclosure crisis and the meltdown on Wall Street, few people worried about public employee compensation, benefits, and pension plans. But when the Great Recession tightened its grip on the American economy and tax revenues shrank, government pay packages suddenly became unsustainable, forcing the issue to the forefront of local and state politics. At first, public agencies responded with widespread layoffs. But when government services were cut to the bone, cities, counties, and the state turned instead to worker furloughs — a solution that forced the shutdown of government for days and even weeks in 2010. The State of California closed for business on a whopping 26 days this year. Locally, UC Berkeley furloughed its staffers from 11 to 26 days, depending on job classification and pay grade. And Oakland city government has shut its doors for nine days so far, but the city plans to close down for three more next week, bringing the year's total to twelve. Mayor-elect Jean Quan said in an interview to expect a similar scenario in 2011. "We're trying to keep the same number of furlough days for next year," said Quan, who plans to release her proposed 2011-12 budget in late March. "But we may have to raise the number of days slightly." There's no doubt that furloughs and government shutdowns inconvenience taxpayers. It's a hassle to show up at the DMV, a local library, or the city planning office to find that it's closed for business on a regular workday. But with record unemployment, and taxpayers still struggling to pay their bills, voters are unlikely to approve tax increases that would put an end to the furloughs any time soon. As a result, government leaders face a quandary. Nearly all public employees belong to unions, and so their compensation packages are protected by collective bargaining agreements. That means political leaders have no legal right to just start slashing workers' pay or benefits. And if unions refuse pay cuts, most public agencies are basically left with two choices — layoffs or furloughs. But after the City of Oakland slashed hundreds of jobs and unions agreed to compensation cuts in 2008 and 2009, city officials realized that additional layoffs would have severely threatened the city's ability to provide basic services. During union negotiations, city leaders also discovered that employee unions preferred furloughs as way to save on government expenses. "The virtue of furloughs compared to a 5 percent salary cut is that at least employees get something for it — they get twelve days off and a hell of lot of three-day weekends," explained Oakland City Administrator Dan Lindheim. But Lindheim noted that furloughs are not a panacea for city governments in tough economic times. The reason is that it usually makes no economic sense to furlough the two most costly public employee unions — police officers and firefighters. Public safety demands that police and firefighting shifts get covered, so if you put a cop or firefighter on furlough, you'll likely have to pay another one overtime as a replacement. However, during heated negotiations over the past few years, some public employee unions grew angry when they learned that cops and firefighters were exempt from furloughs. Lindheim said that while he understood their complaints, Oakland never seriously considered furloughing its public safety employees. "The purpose of a furlough is save the city money," Lindheim noted. "So I'm not going to do something for the sake of egalitarianism that will end up costing the city money." Still, because cops and firefighters make up more than 65 percent of Oakland's general fund budget, the city had to get concessions from those unions — especially police because of its high costs — to make up for the loss of nearly $100 million in tax revenues over the last several years. With furloughs off the table, the choice was between compensation cuts and layoffs. Firefighters had already agreed to contribute 13 percent to their own pensions, but when the police union refused to start paying 9 percent to theirs without a no-layoff guarantee, the city council responded by laying off eighty officers in July. But what about taxpayers? Furloughs and shutdowns, after all, mean that governments can't provide decent customer service to residents — the people who pay the bills. For governments, though, the alternatives to furloughs are pay cuts or layoffs. And if employee unions resist compensation concessions, public agencies are forced to lay off more workers, which can lead to even less desirable outcomes than furloughs. 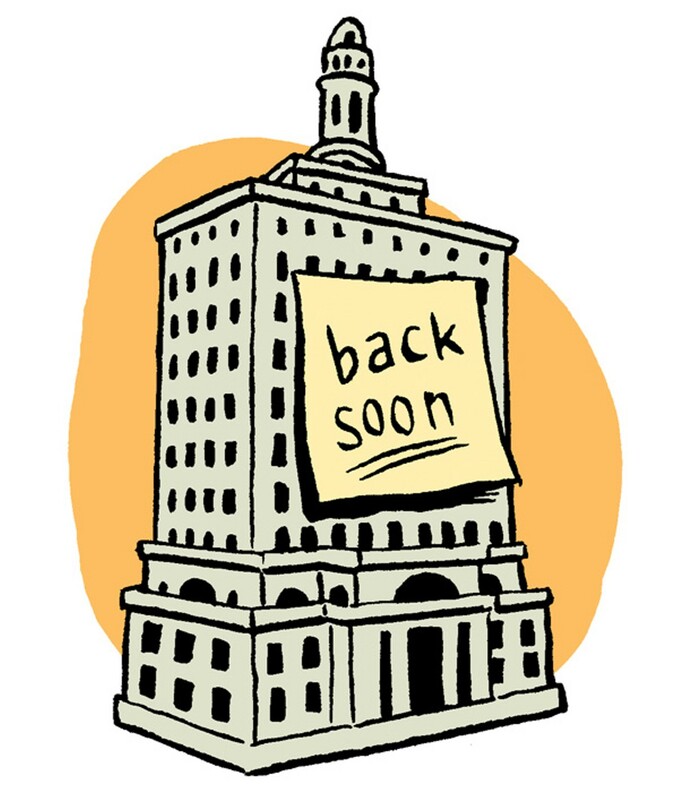 With too many layoffs, City Hall may remain open, but there'll be no one there to serve you. And if lots of librarians and park workers are laid off, then the city might have to close those facilities permanently — not just twelve days a year. Still, not every public employee union will agree to furloughs. Recently, AFSCME Local 3299, the American Federation of State, County, and Municipal Employees union, refused to agree to furloughs at UC Berkeley. The local represents blue-collar workers on campus. "Our position is that we didn't have a problem talking about furloughs if we could get a guarantee of no layoffs," explained AFSCME Local 3299 President Lakesha Harrison. But campus officials wouldn't go along with the no-layoff demand, and decided instead to impose furloughs, calling them "temporary layoffs" in order to circumvent the collective bargaining agreement. Sharon Cornu, head of the Alameda County Labor Council, said it's up to individual unions to decide whether they prefer layoffs, furloughs, or compensation cuts when governments are forced to reduce spending. But she argued that at some point government workers won't be able to afford to keep being the victims of Wall Street's greed — nor should they have to. "To force retired firefighters, retired teachers, and retired nurses to keep paying is foolish," she contended. On a statewide level, Governor-elect Jerry Brown faces a thorny problem over furloughs, as well. Public-employee unions, fed up with furloughs, layoffs, and compensation cuts, helped him defeat Meg Whitman. Those same unions also had sued Governor Arnold Schwarzenegger over his furlough plan. And Brown's campaign slammed furloughs as "a temporary solution to a permanent problem." But Brown is now facing a projected $25 billion budget deficit over the next year and a half. In other words, he may have no choice but to continue furloughs. After all, he's already warned educators to prepare for substantial cuts to public school funding. So he's going to slash money for kids but agree to protect state workers from furloughs? In short, 2010 may have been the Year of the Furlough, but 2011 may be no different. Government looks like it will be closed for business again next year. Better get used to it.